April | 2009 | How Can I Keep From Singing? I don’t know what it is to have chronic pain. I know a lot of people deal with severe pain that cannot be fully controlled every day of their life. They have to go on with their lives though and so they just continue to do, despite the pain. If you don’t know them, you might never know what they are dealing with, even if you are talking with them face to face. This is what I was thinking about yesterday in Wal-Mart. I walked passed the legos and the trucks. What happens? I nice big stab of pain to the heart. Yesterday I acknowledged it – most of the time I do not because frankly, there is pain everywhere! There are literally very few places I could go or things I could do that do not remind me of my loss of Nathan. Everyday, everywhere, I am confronted by his loss. Grocery stores, school, church, my house, doctor’s offices…places I have to go every day as I go about my day. I even go to bed every night a few feet away from the place he died. It is chronic emotional pain and it cannot be fully controlled. Some days, I seem more anesthesized than others. Some days I can control the pain better than others. Regardless, it is there, every day and all the time. I suppose some of you who know me well wonder about this because I am very good at hiding the pain. Some days I am just so tired at the end of the day from swallowing the pain all day and not letting it show. I got an email from a friend the other day. 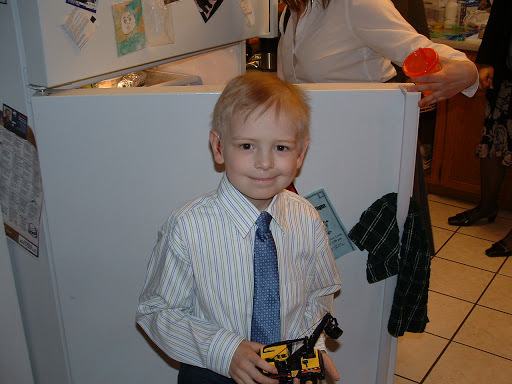 Her son, Elias, was treated at Memorial Sloan Kettering with Nathan. She told me she was grocery shopping (NYC suburbs) and saw a picture of Nathan at the checkout counter as part of a childhood cancer fundraiser. She told me she was taken aback to see it and she proceeded to tell everyone in line with her about Nathan. I have this picture on flickr. I am not sure how they got it and came to use it. I am not upset they are using it, but I only wish that his name was on it. So, I started a bit of a campaign on Facebook to get the word out that the little boy in that picture is my beloved Nathan. I love this picture. Nathan is watching all the traffic in the city. I love that you can see his feet. I can imagine the feel of my lips on his bald head when I see this picture. So, if any of you readers are in that area and see the picture, know it is Nathan. When I was upstairs getting ready this morning I heard Lauren singing, “I’ve been working on the railroad” I have no idea how it got into her head. That was Nathan’s favorite song at that age and it was such a nice memory to hear Lauren singing it out of the blue like that. I am pretty sure I have written on here before about my night terrors, but perhaps not. Those of you who know me have heard my stories. Anyway – to summarize – I have night terrors and have had them for years. They have gotten much worse in recent years. I have them just about every night. Some nights they are just annoying and other nights they are very distressing. I will have the same night terror for many nights in a row and they get worse every night until I become very upset in the middle of one and then it seems to reset and a new theme starts. Last night I sat straight up in bed and exclaimed that I had figured it all out – it was all the number 11 that was the problem and apparently the solution was in the basement in the crawl space. I told Luke that I was going to go to the basement. Poor guy thought I meant I was going to sleep down there to not bother him. As I slowly woke up I realized I couldn’t figure out what exactly I was to do in the crawl space and decided to just lay back down and go to sleep. So – I am really curious about this one. It was so very clear to me that the number 11 was the root cause of all my night terrors and problems. Easter services were fantastic today. Here are the girls in their Easter finery. I didn’t get to see them all dressed up since I left the house at 5:45 am sang four services and got home at 1:30. Luke, as usual, got them gussied up and did their hair and oversaw the emptying of the Easter Baskets. We are going to have dinner with friends later. We have had several inches of snow today – typical spring weather in Colorado. Missing my boy today. 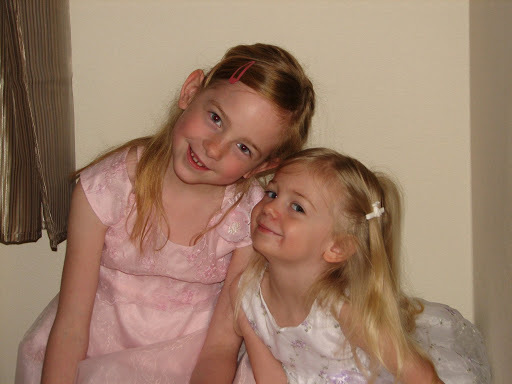 Easter 2007. I had a disturbing dream last night. Nathan was brought back to me, temporarily, and I was glad to see him but after we hugged he told me he was in pain and I had to give him some morphine and I was just so upset that he had been brought back to me only to suffer. It was nice to hold him on my lap though. He was wearing this outfit (minus the hat). 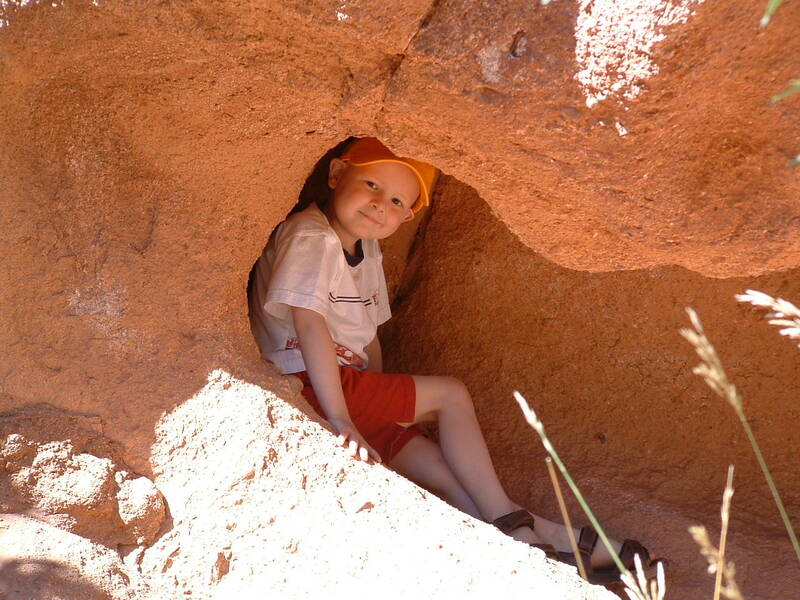 I was about to come to blog about some other things, which I will do in a nother post but I just read the sad, sad news about yet another beautiful child lost to Neuroblastoma. Erin had been battling a very long time. She relapsed a few months before Nathan and has spent many years in easy and fairly effective treatment. I came to “know” her mom online and got a feel for who Erin was (beautiful, bright, funny, loving) by following her blog. I am shocked by her death and just sickened and sad. 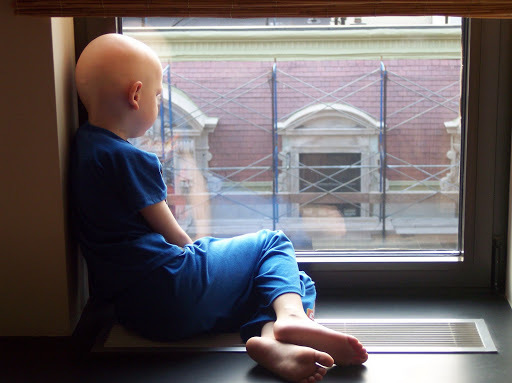 I hate that there are still kids out there dying from cancer. Why can’t we cure them? Please keep Erin’s family in your thoughts and prayers.